The museum is dedicated to education and art appreciation inspired by the legacy of Norman Rockwell. The museum preserves, studies and communicates with a worldwide audience the life, art and spirit of Norman Rockwell in the field of illustration. Museum exhibitions are drawn from museum collections and are designed to be informative and relevant for the widest audiences (beginners, scholars, first-timers and returning visitors, Rockwell admirers and illustration experts), to be responsive to varying individual and group learning styles and be respectful, challenging, empowering and engaging. See the world's largest collections of original art by America's favorite artist. The Museum contains the world's largest collection of original art by America's Favorite Illustrator. Exhibits consist of permanent exhibitions of Norman Rockwell's works, rotated periodically, and changing exhibitions 4 - 6 times per year on both Norman Rockwell and the works of other illustrators. The core of the museum's galleries is a 21000 square foot permanent installation entitled My Adventures as an Illustrator. The sixty-plus paintings in this display cover Rockwell's sixty-year career from the 1910s to the 1970s. the exhibition combines familiar old favorites such as Triple Self Portrait and Stockbridge Main Street at Christmas with lesser-known works, photographs and personal artifacts to depict Rockwell's special role as an acute social observer and shaper of America's self-understanding. Autobiographical quotations form a narrative story line throughout the collection, offering a glimpse of the man behind the art. Rockwell's canvases captured the events of the turbulent years from World War II through the 1960s. 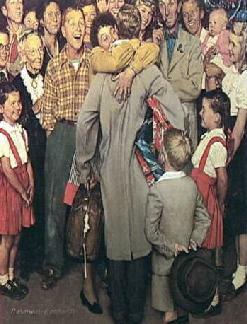 Beginning with the Four Freedoms and continuing with issues such as civil rights and world peace, Rockwell put issues of the day into the human terms of individuals, families, and communities. His "mirror" shows us as we saw ourselves and allows for reflection on the ideals and events that have shaped life in America today. This exhibition explores the impact of Rockwell's role as a chronicler of American society and political and social ideals using original artwork, photographs, and artifacts. Developed as an extension of Norman Rockwell's studio, this exhibition explores the business, personal, and social aspects of Rockwell's daily, working life. Archival material, original artwork and other items from the studio collection, are shown in the context of Rockwell's personal and professional relationships with family, neighbors, and business colleagues, including those who served as models for his portraits of American life. Norman Rockwell left his studio and the bulk of his private art collection in trust to the museum. Visiting the studio is an intimate and personal experience. In this simple building Rockwell created some of his best-loved works. Open to the public from May through October. 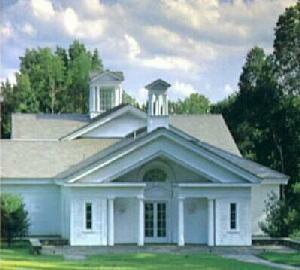 Norman Rockwell Museum is open daily. General public admission is $12 for adults, $7 for students, and free for visitors 18 and under (four per adult). Kids Free Every Day is a gift to families from Country Curtains and the Red Lion Inn. On Wednesdays from November to May, senior citizens are admitted at half-price. The Museum is open daily, from 10 a.m. to 5 p.m., May through October; from November through April, weekday hours are 10 a.m. to 4 p.m., and weekend/holiday hours are 10 a.m. to 5 p.m. Gallery tours are available daily, beginning on the hour. Antenna Audio Tour of select paintings from the Museum's permanent Norman Rockwell collection is available. Rockwell's original Stockbridge studio, located on the Museum grounds, is open May through October. For more information, the public is invited to call 413-298-4100, ext. 220. 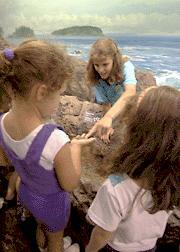 Visit the Museum's Web site at www.nrm.org. for Member's Opening Reception of "Hometown Hero, Citizen of the World: Rockwell in Stockbridge"
STOCKBRIDGE, Mass.- On November 14, 1960, a shy, six-year-old girl became the unwitting symbol of the nation's struggle for civil rights and integration, as armed federal marshals escorted her past throngs of angry protesters into William Frantz Elementary School in New Orleans, Louisiana, the first African American child to enter the former segregation stronghold. Inspired by young Ruby Bridges' story and the Supreme Court's Brown v. Board of Education landmark ruling in 1954 ordering the integration of public schools, artist Norman Rockwell painted one of his most moving and unforgettable illustrations, "The Problem We All Live With," for "Look" magazine. On June 5, 2004, at the opening reception for the Norman Rockwell Museum's new exhibition "Hometown Hero, Citizen of the World: Rockwell in Stockbridge," Ruby Bridges will encounter the original Rockwell painting that was based on her extraordinary experience. "Norman Rockwell Museum is honored to welcome Ruby Bridges as our special guest speaker for our 35th Anniversary Celebration and the opening of our new exhibition," remarks Museum Director Laurie Norton Moffatt. "The heroism Ms. Bridges showed as a young girl, and the work she continues to do to on behalf of educating our children is truly an inspiration." "Hometown Hero, Citizen of the World: Rockwell in Stockbridge," will open with remarks from Ms. Bridges at 6:30 p.m., followed by a special book signing. Lavish hors d'oeuvres, desserts, and complimentary beverages will be featured. Tickets to the event are $50 for the general public, $35 for Museum members. For reservations and information, please call (413)298-4100, ext. 221. Please RSVP by June 1. Ruby Bridges speaks to groups throughout the United States about racism and education. She founded the Ruby Bridges Foundation to encourage the values of tolerance, respect and appreciation of all differences through educational programs. Together with the Museum of Tolerance, the Foundation has formed Ruby's Bridges, a program designed to bring diverse populations together to develop relationship-building strategies. Ruby's Bridges will connect fourth and fifth grade students, parents, and educators of various socioeconomic backgrounds and schools who otherwise may never have a chance to interact and experience each other's similarities, as well as differences. "Through My Eyes," Ms. Bridges' first-hand account of her experiences in the civil rights movement, received the Museum of Tolerance Once Upon a World Children's book award in October 2000. "Hometown Hero, Citizen of the World: Rockwell in Stockbridge"
In 1953, Norman Rockwell and his wife, Mary, moved to the town of Stockbridge, Massachusetts, a picturesque village in the Berkshire Hills. Rockwell lived and worked in Stockbridge until his death in 1978. He produced 38 "Saturday Evening Post" covers here from 1953 to 1963, and then turned his talents toward illustrations that dealt with American social issues. He tackled subject matter that was weighty and controversial, such as racial discrimination, poverty, desegregation, the Vietnam War and space travel. Later, as he receded from his public role, Rockwell resumed a lifelong fascination with travel and, for the first time, painted for his own pleasure. In 1977 he received the Presidential Medal of Freedom, the highest civilian award in the nation. The exhibition presents a compelling selection of original artworks from the last 25 years of Rockwell's career and illuminates his fascinating life, both as a hometown hero and citizen of the world. The exhibition has been generously sponsored by BerkshireBank. For over 150 years, BerkhireBank and its employees have sponsored the Berkshire Community through education, human services and the arts. BerkshireBank is proud to continue the tradition by supporting "Hometown Hero, Citizen of the World: Rockwell in Stockbridge." (C) 1960 Curtis Publishing Company. (C) 1948 The Curtis Publishing Company. Stockbridge, MA: On March 31, 2004 in Paris, France, the Musee du Luxembourg opened an exhibition of self-portraits by some of the most renowned names in 20th century art. The show includes such world-famous artists as Picasso, Matisse, and Degas, but the image used to promote the exhibit across Paris is none other than the self-portrait by the icon of all things American, Norman Rockwell. Is this a cultural détente? At the very least, Norman Rockwell, the quintessential American artist, will add a touch of old-fashioned American humor and wit to the Paris scene this spring. After all, this is the country that for decades has idolized the films of American comedian Jerry Lewis. So perhaps it is fitting that now it is Norman Rockwell's turn to take the French cultural world by storm. "Imagine! Norman Rockwell is the focal point of a European exhibition of modern masters," says Norman Rockwell Museum Director Laurie Norton Moffatt. "He has been given an extraordinary tribute by the French ministers of culture. They have selected 'Triple Self-Portrait' as the most engaging artist's self-portrait of the 20th century. I wish Norman were alive to see this. He would really get a chuckle out of it!" The Norman Rockwell Museum is lending Rockwell's famous self-portrait to the exhibit of more than 150 artists of the 20th century. The exhibition is called Moi! Autoportraits du XXeme siecle (Me! Self-portraits of the 20th Century). It will open on March 31 and run through July 25, 2004, at the French Senate's Musee du Luxembourg. The exhibition travels to the Palazzo Strozzi in Florence, Italy, in September. After seeing Rockwell's "Triple Self-Portrait" in an exhibition catalogue, the cultural attaché to the French Senate asked the Norman Rockwell Museum if it would loan the painting to the exhibition. Once the loan was secured, curator Pascal Bonafoux and the exhibit's organizer, Sylvestre Verger Art Organization, selected Norman Rockwell's work to be the signature image for the show. Rockwell's image appears on the cover of the exhibition's catalogue and invitation, on posters, metro cards, billboards, and bus posters throughout the city, and will be on the cover of a special edition of "Paris Match" magazine. The exhibit examines artists' self-portraits of the 20th century, a century marked by individualism and the view that the portrait is an act of self-examination, affirmation and revelation. "The self-portrait is the most intense unmasking of the artist's identity," says Bonafoux, who adds that the exhibition reveals 150 different responses to the same question: "Who am I?" Self-portraits of artists Picasso, Matisse, Vuillard, Warhol, Basquiat, Chagall, Chuck Close, Degas, Dubuffet, Ernst, Giacometti, Frida Kahlo, Ferdinard Leger, Miro, and Mondrian, among others, will be featured in the exhibition. Norman Rockwell's self-portrait, which is actually three self-portraits, includes portraits of Norman Rockwell's own artistic heroes, Durer, Rembrandt, Picasso, and Van Gogh. For more information about the exhibition, visit http://www.museeduluxumbourg.fr.